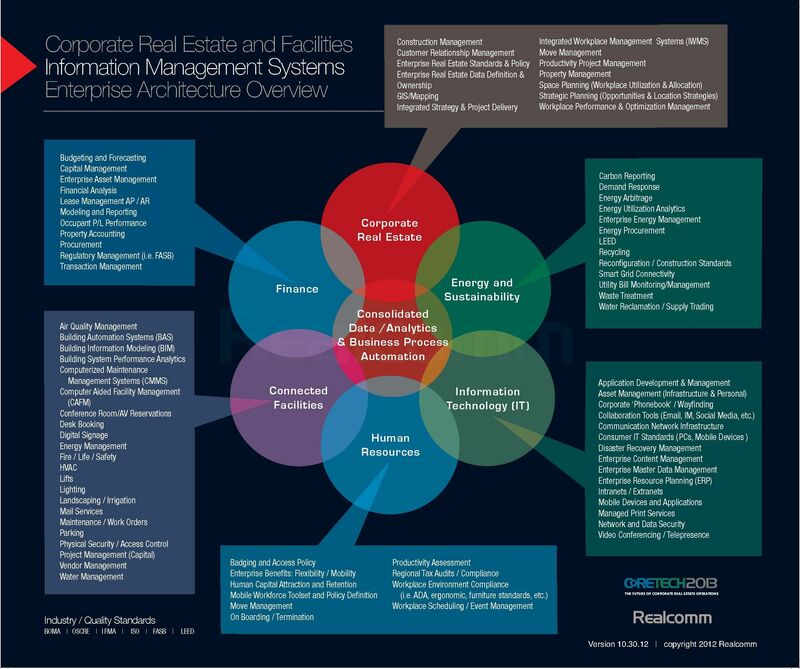 When we gathered in Chicago last November for CoRE Tech, Jim Young, Co-Founder/CEO, and Howard Berger, Managing Partner of RealComm, introduced their vision of where intelligent buildings will connect with the enterprise in transforming the commercial real estate industry. “REvolution” launched the concept of using BPA (Business Process Automation) as the means necessary to optimize business processes in an integrated strategy, facilitating a new level of efficiency improvements for the organization as a whole. As we prepare to assemble at CoRE Tech in Redmond, WA later this November, we wanted to take a step back and reaffirm the model of placing BPA at the epicenter of our enterprise design architecture of the future. "The old ways of doing business will soon be obsolete. It is no longer a function of if, but when. The technology is in place; it is now a question of how quickly each organization can change its own culture to take full advantage of this new operating paradigm," says Jim Young. Young continues, “Over the last few years, automation and innovation have crept into the activities of every department, from the receptionist to the CEO, forcing everyone to rethink how technology processes are impacting job functions. This is a REvolution!” Don Goldstein, Global CIO of CBRE, is in the early stages of rolling out an enterprise BPM (Business Process Management) platform that will eventually stretch across the entire enterprise, automating numerous business processes to orchestrate new levels of business efficiencies using technology rather than human activity. "CBRE’s initial goals were to automate business processes that were both process-centric and highly manual user-centric," says Don Goldstein. The organizational objective of cost reduction through streamlining and automating processes effectively is paramount. The BPM solution should include the ability to correctly model business processes, convert those processes into implementation, and continuously improve processes through iterative modeling. However, prior to designing and deploying integrated processes, it’s important to leverage one of the most powerful features of mainstream BPMSs: simulation. Process simulation enables you to see how your model reacts to different conditions, prior to deployment. In the case of Goldstein’s implementation approach, the method “…is to move a business process into the platform with the least amount of change reasonable to establish a baseline. From that point we can make changes and measure the impact of those with precision.” When you run a process simulation, you obtain valuable insight into effectiveness, indicating where to make changes to improve the efficiency or operating function of the model. The reporting produced can surface all of the resource requirements as well as how smoothly work flows through the entire model. Iterative modeling and testing is essential in the development of an effective BPM system. Typically you discover the importance of analyzing the results of the simulation, make any necessary changes, and rerun the simulation, possibly several times if necessary. Most BPMS’s enable you to modify processes even when deployed with little disruption. This continuous cycle of improvement can persist indefinitely or until fully optimized for the business. Don Goldstein says CBRE “expected a tool that was powerful yet easy to use, implement and support. And while we are just getting started, our experiences to date indicate we are where we expected to be." 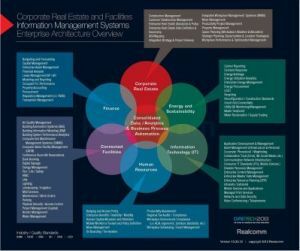 Even though CBRE is still in the early stages of their roll out, they’re paving the way for the rapid acceptance of BPMS as the orchestration engine the commercial real estate industry needs to optimize their business across ALL systems. We’re expecting more compelling insight from CoRE Tech this November on the evolution of REvolution. Hopefully with a solid footing of definitions and concepts regarding our business process automation architecture, you can make the most of this event and start your own REvolution.